As we’ve discussed in past blogs, the way search engines rank websites is moving away from a strictly keyword based ranking to more of a content based ranking. 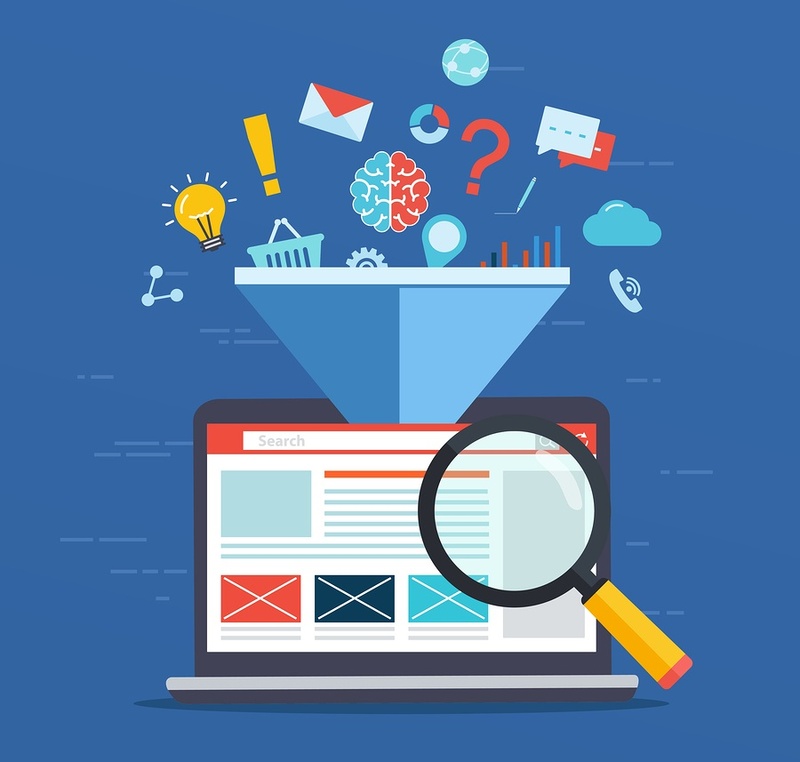 To give your site the best chance at seeing a higher ranking, you must think about the organization and categorization of your content. 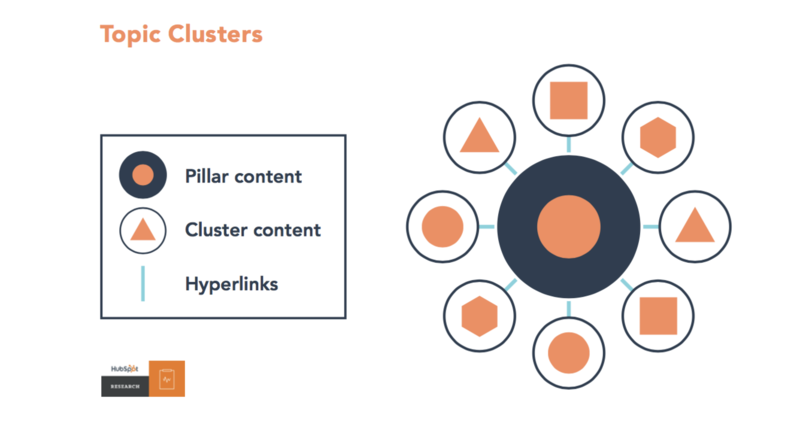 One of the best ways to receive a better site ranking is to organize your content in topic clusters and pillar pages. The content of your pages plays a huge role in your search ranking in 2017 and going into 2018. As search engine algorithms become more advanced, they are able to determine if your site answers the search people typed by the content on your page as opposed to the amount of applicable keywords on the page. Because of this, you need to first and foremost be sure that your site’s content - be it blog posts or site pages - answers the questions your target audience and buyer personas will be looking for on Google or other search engines. By creating content that is optimized for SEO, you will be well on your way to a higher site ranking. The best way to create good content is by developing a Buyer Persona. Download your free Buyer Persona Template here! Why Do I Need Topic Clusters for SEO? Your site content is not the only factor that plays into your ranking. The infrastructure of your blogs and content also comes into play when Google is crawling your site to determine your ranking. In the past, most people created content to rank for keywords. This lead to unorganized site content with overlapping posts and no real direction for blogs or websites. The solution to this problem comes in the form of topic clusters and pillar pages. Instead of trying to rank for keywords, think of topics you’d like to be known for. After you have determined these topics, you can then create clusters of information all about this particular topic. These posts will all link to each other and back to one main source of information - the pillar page. By organizing your content this way, you are not only establishing authority on search engines, but you are also creating an easy path for readers to follow your topic throughout each stage of their buyer’s journey. This creates content that is optimized both for SEO and for Inbound Marketing. How Do I Create Topic Clusters? There are three steps to follow to create your topic clusters. First, you must determine your buyer persona and topics they would be interested in. Second, you must create pillar pages for these topics. Finally, you will be able to then create in-depth blog post and other content around these pillar pages to create your topic clusters. To begin creating topic clusters, you must first determine your buyer persona for your ideal customer and audience you would like to target. A buyer persona is created by performing research on your current customers along with other methods to determine who your ideal customer is and what questions they have. What topics is my ideal customer searching for? Where does my ideal customer typically search for answers? What stage of the buyer’s journey would my ideal customer be searching about? After you have determined who your ideal customer is and what and where they will be searching, you will be able to then decide which topics you’d like to rank for and begin to create pillar pages for those topics. After you have decided which topics you’d like to rank for, you must create pillar pages for each topic. A pillar page is a blog post or other piece of content that gives a comprehensive overview of the topic itself. 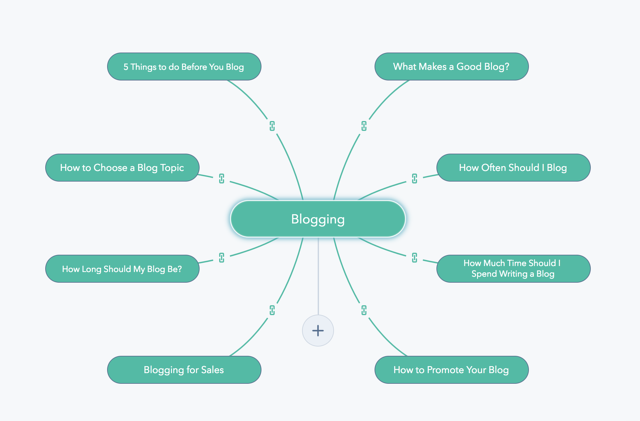 For example, one of our topic clusters is about blogging. We have a pillar page that gives an overview of blogging as a whole and then pages that leaf off of the pillar page that go more in-depth about particular areas of that topic. As you can see, each leaf builds on the topic of blogging in a more specific way than the pillar page. Each leaf page also links to the pillar page and vice versa so we can establish a higher SEO ranking for that topic. Remember, pillar pages are not meant to cover every single aspect of the topic. They are a broad overview of the subject, but should still allow readers to feel as if they learned about the topic if they do not continue to visit any leaf pages. Pillar pages can and should be revised and updated to include new information and links once you build out your leaf pages. After you have created your pillar page for your topic, you are ready to go deeper. Consider specific questions your ideal customer may have about your topic and answer them in the leaf page. These leaf pages can be blog posts or website pages. As you can see from the graph below, linking the leaf pages to the pillar page and vice versa creates a cluster of information around the same topic. This is what allows you to become ranked for that particular topic. Having specific content and posts about a key topic and linking all these posts together lets the search engines know that you have authority on that particular topic. It takes the questions people are searching for and relates it back to your topic cluster. If you have enough relevant information about that topic and have correctly linked it all together, it will give you a higher rank for that search. Linking all these posts together also allows you to create an organized path for your human site visitors. Having clear links to all posts and content related to their topic of interest allows them to easily navigate through your content and find what they are looking for. The easier your site is to navigate, the more people will visit your page, stay on it, and read your content, all of which also contribute to your SEO ranking. SEO is a concept that is constantly changing as technology advances. What worked in the past may not work now and what works now may not work in the future. However, by creating topic clusters and organizing your content around them, you are not only creating and practicing good SEO, you are also making it easier for human visitors to navigate your site. Create topic clusters that are tailored to your ideal customer by developing your own buyer persona. Download our free template to get started!